War-writer Answers Quick Question: What is Flash? Flash is a storytelling practice that is most-often applied to fiction, but can also work to generate non-fiction, and perhaps even prose poetry. There are literary flash, genre flash (extremely short science-fiction! flash mystery and suspense! ), and non-fiction flash markets. "Flash is [an approach] marked by diminished resources," blogs Katey Schultz, author of the award-winning short-story collection "Flashes of War" and the upcoming novel "Still Come Home." "The stories can only be 250-750 words (1,000 max). There’s no time for tremendous backstory and there’s no need," she continues. "These are stories that begin immediately, featuring characters outsized by their circumstances or snapshot memories from your own experiences, caught in a moment where there’s no choice but to react and change." 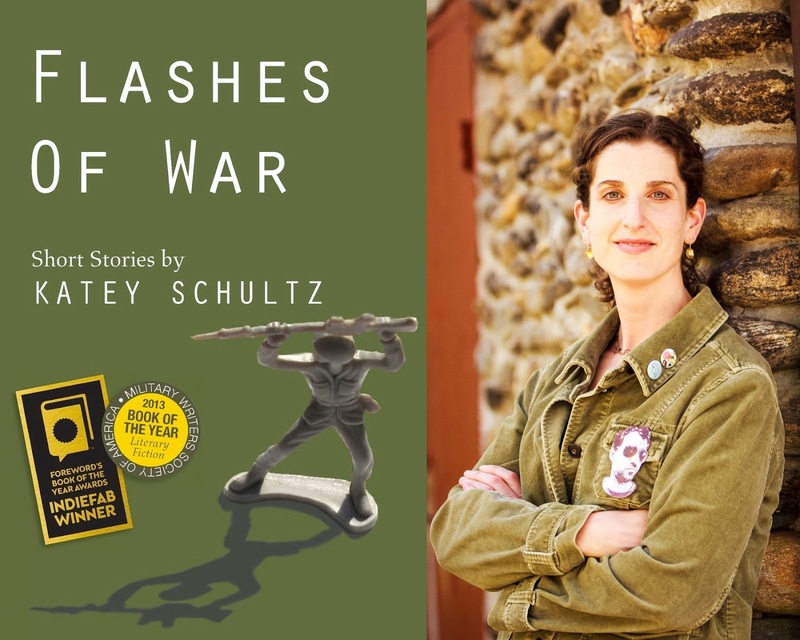 Once or twice a year, Schultz now runs an intensive 5-week on-line course called "Into the Flash." Participants can opt to participate in light editorial critique sessions, should they want. For writers who want a quick introductory hit of how-to, however, Schultz also offers "Flash in a Flash," a self-directed 5-day on-line course introducing flash concepts and mindfulness techniques. There's a FREE lesson, and the whole course is only $27. The mini-course is offered year-round. Want to receive exclusive early-bird notice of military-themed writing opportunities, events, and markets? Want to view insider ratings, how-to resources, and recommendations on prospective journals, anthologies, and contests? Want to gain members-only access to an on-line Facebook forum of enthusiastic, motivated, and focused practitioners, just like you? Join our community of practice for as little as $1 a month! Details here: www.patreon.com/aimingcircle.